Neapolitan philosopher (1668-1744), considered the first precursor of radical constructivism. His dictum "verum ipsum factum"1 (the truth is the same as the made) points in the direction of knowledge construction more than half a century before Kant. The only way of "knowing" a thing is to have made it, for only then do we know what its components are and how they were put together. According to von Glasersfeld, Vico's "knowledge" is what, today, we might call an awareness of the operations that result in our experiential world, thus preempting the term "operation" launched by constructivists such as Dewey, Bridgman and Ceccato in our century. Furthermore, his idea of the active construction of all knowledge and experience come very much closer to Piaget's genetic epistemology and to modern constructivism in general, as is particularly clear in the statement "Human knowledge is nothing else but the endeavor to make things correspond to one another in shapely proportion". 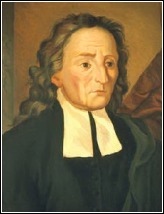 1Giambattista Vico (1710). De antiquissima Italorum sapientia. Naples: Stamperia de' Classici Latini, 1858.